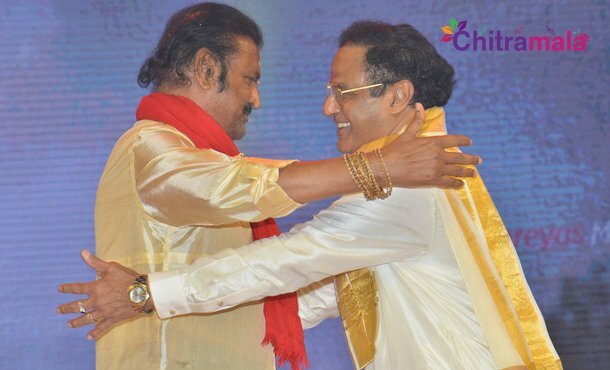 Collection King Mohan Babu is the legendary actor who was invited as one of the guests at the pre-release event of the film NTR Kathanayakudu & Mahanayakudu. Mohan Babu has made an interesting speech at the event and he has opened up on an interesting point. Everyone is actually curious about how Balakrishna is going to show up the things in the movie. Speaking at the event, Mohan Babu said, “Krish did a wonderful job and I can only see Sr NTR here instead of Balakrishna.” and addressing Balakrishna, Mohan Babu said, “We are not sure about where did the film start and where did it end. I am not sure if you have projected good persons as baddies or baddies as good persons. But, all the best to you.” said Mohan Babu. Directed by Krish, the film is produced jointly by Balakrishna, Sai Korrapati and Vishnu Induri.